There is something people have asked as I have done multiple demonstrations of the vCloud Air Disaster Recovery offering is “Can we configure multiple machines for replication?”. Well, with the help of Akeem Jenkins and some lab testing we found out the answer is actually YES. To be honest this was not something I was told would work when the offering went GA, but the cool thing is you can in fact select multiple machines for replication. Like anything there is some things about it I want to point out. This assumes you have already setup the correct vSphere Replication 5.6 Appliance for replication to vCloud Air, and you have a vCloud Air Disaster Recovery account. Each machine you configure will be setup with the same RPO since you will only select that once. You can adjust them individually by changing the settings after. Well it’s surprisingly simple actually. Just highlight the group you want and right click to select ‘Configure Replication’ You will see a validation check Continue configuring with the normal options to a Cloud Provider and when complete you will se all selected machines in the task pane configuring You can also use the multi select to stop replication on multiple machines at once, however you can see the options for fail over and test are not available when you multi select, only re-configure, stop, and pause. You can always however use the vCloud Air API extensions and scripting to call the failover option on multiple machines. I did try to multi select and configure for Data Seeding and it also appears to work! You get a side by side selection process to choose and match the source to the destination seed. However, the same things originally apply such as they will all use the same RPO. Thank you. I would like to demonstrate this at the next VMUG. Which tool are you in when you right click and “Configure Replication”? VIClient? vCloud Connector? Web Client? 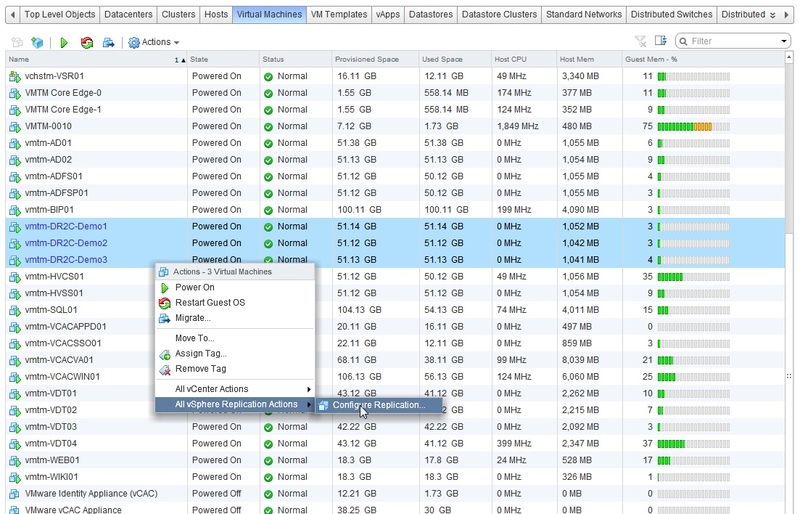 vCloud Director web? I have tried each of them and cannot find that option. 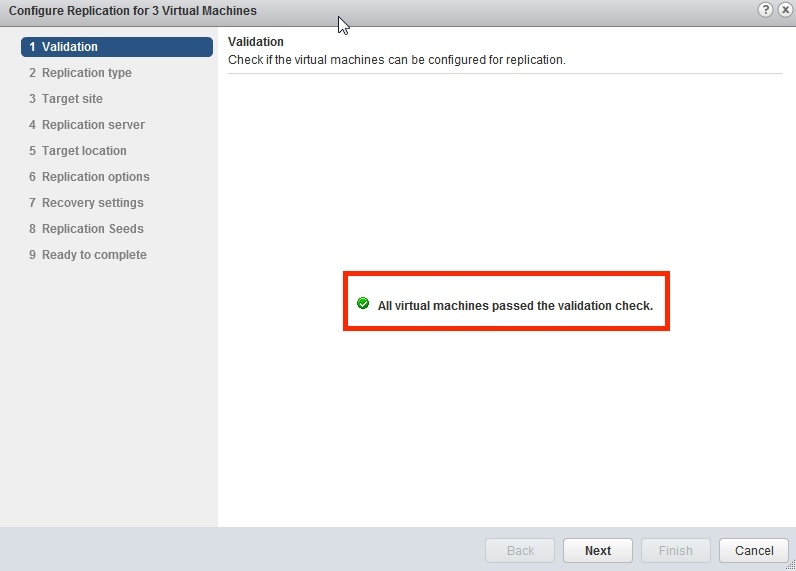 This requires the vSphere Web client, the vSphere Replication 5.6 appliance, and a vCloud Air-DR account already configured and connected to the replication appliance. 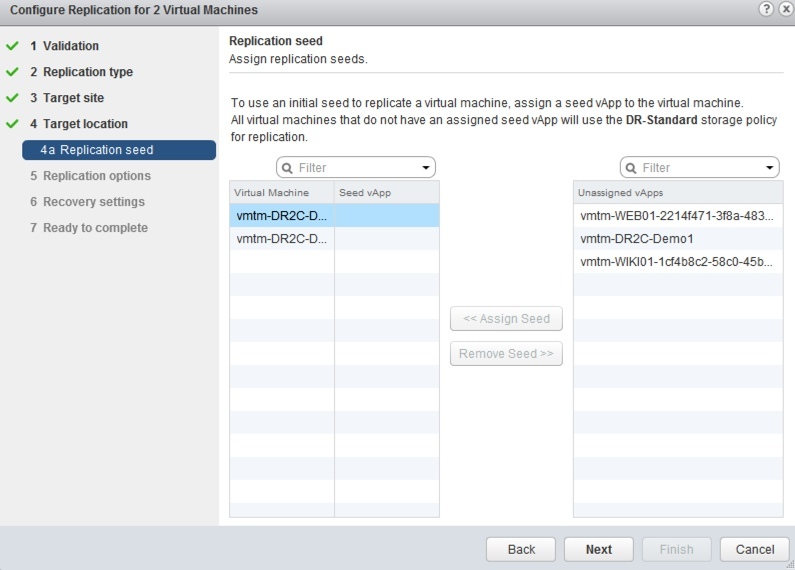 It’s not something you can demo without a vCloud Air-DR account or the correct vSphere replication appliance installed and configured to the DR account. Thanks for the quick response Chris.